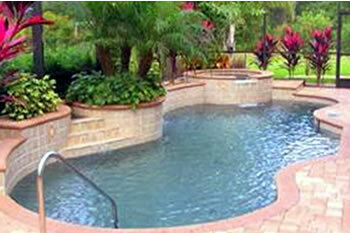 Our company focus is swimming pool and spa cleaning in Glendale, California. With one goal in mind, we provide reliable, professional and affordable weekly cleaning that will keep your pool sparkling year round. Adjusting chemical and pH levels is crucial to keeping a healthy body of water. If the ratios of the water’s chemistry are off, bacteria can grow and unwanted algae will form. By having a professional check your pool’s chemical levels on a regular basis, you can be sure your pool is ready to jump into year-round. Proper chemical balance makes sure the water stays clear and bacteria and microorganisms stay out. Keeping pool water that bright crisp brilliant blue color you expect to see is a responsibility we take a lot of pride in accomplishing. In addition, regular brushing and vacuuming prevent the plaster from staining and discoloring. Pool cleaning in Glendale, California is very important due to the Santa Ana wind conditions we face every year. Debris left at the bottom of the pool for extended times can cause stains on the plaster. Once stain set in they sometimes cannot be easily removed. Our company is absolutely committed and focused on CUSTOMER SATISFACTION. We are highly trained professionals who are dedicated to providing the most dependable, honest and affordable swimming pool and spa service available in GLENDALE. We are a team you can trust your swimming pool maintenance and cleaning to. Our pride and integrity shows in our work. Whether is an algae issue or cloudy water we have the experience to solve these problems FAST. 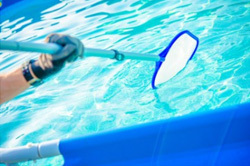 We know that you expect your weekly pool cleaning service to be aggressive when troubles arise. The swimming pool and spa maintenance we provide in GLENDALE is intended to prevent frustration for you and maximize your family’s enjoyment of the swimming experience.